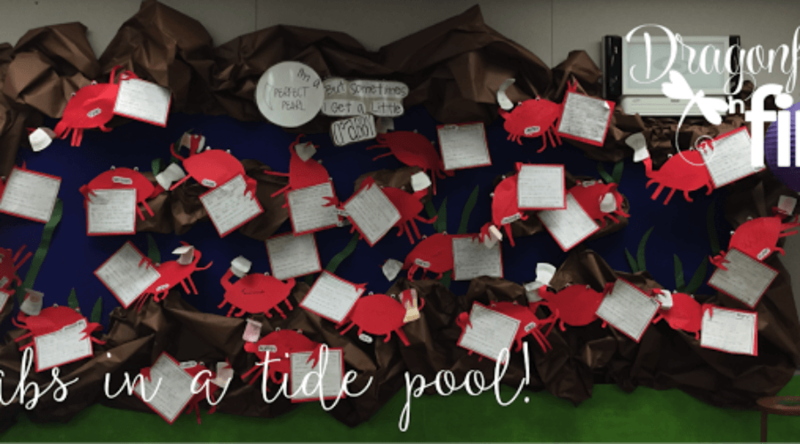 Our classroom has been transformed into an ocean wonderland over the past few weeks. The kids love it and so do I.
I recently gave my Writing Through the Sea an overhaul and added 30 pages! 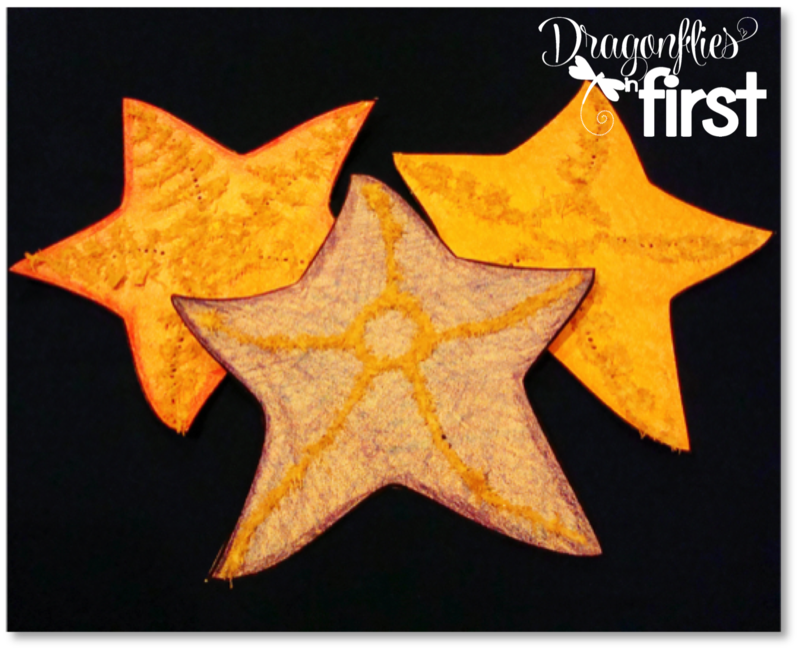 It now contains 5 complete (and differentiated!) writing lessons along with craft black lines. I use all of these writing lessons throughout May. I love how the kids’ work turns out and the crafts just make me smile. The tide pool is fun and very “3D”. I have a lot of English Language Learners in my class so the cloze activities are really helpful. They allow them to work independently and feel success without a whole lot of 1:1 assistance. They are also so thrilled with their work. Win-win! This activity is particularly good for explaining expressions and multiple meaning words. 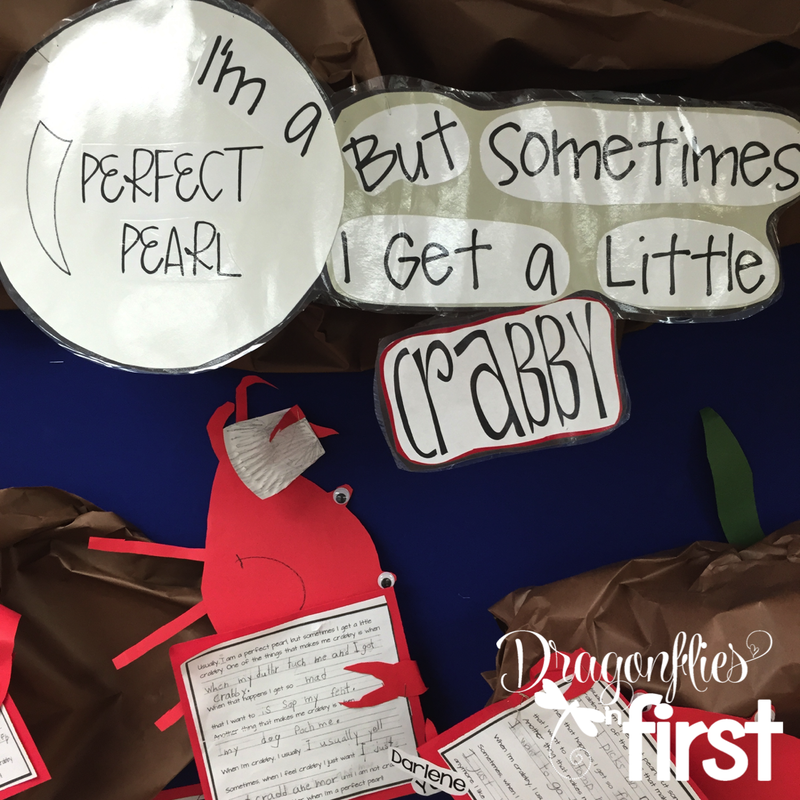 Two things that are definite obstacles for English learners – and, well let’s face it – all little kids. 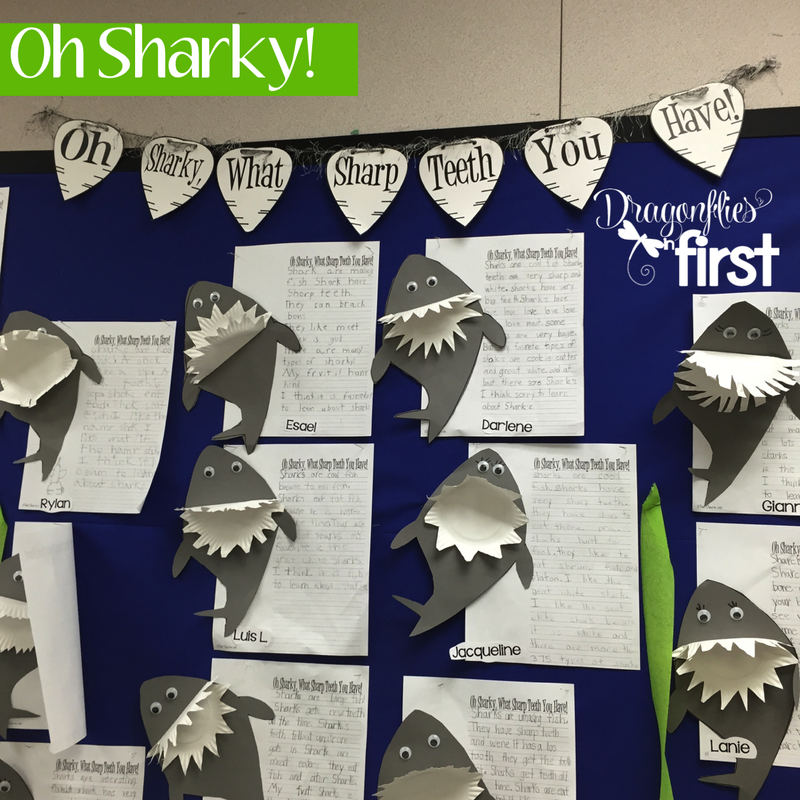 For an expository writing piece, we wrote about sharks. As always, we started with a detailed plan that the kiddos developed on their own. Normally, I do not have the kids glue printed out names on their paper, but these are my Open House bulletin boards. In order to ensure that parents can find their kiddos work quickly, I have the little peeps glue pre-printed names on their papers. One of my favorite things about kid’s work is when they make it their own. Why shouldn’t your shark swim in the opposite direction of everyone else? Awesome! Under those cutie pie whales and colorful sea stars is even more writing! 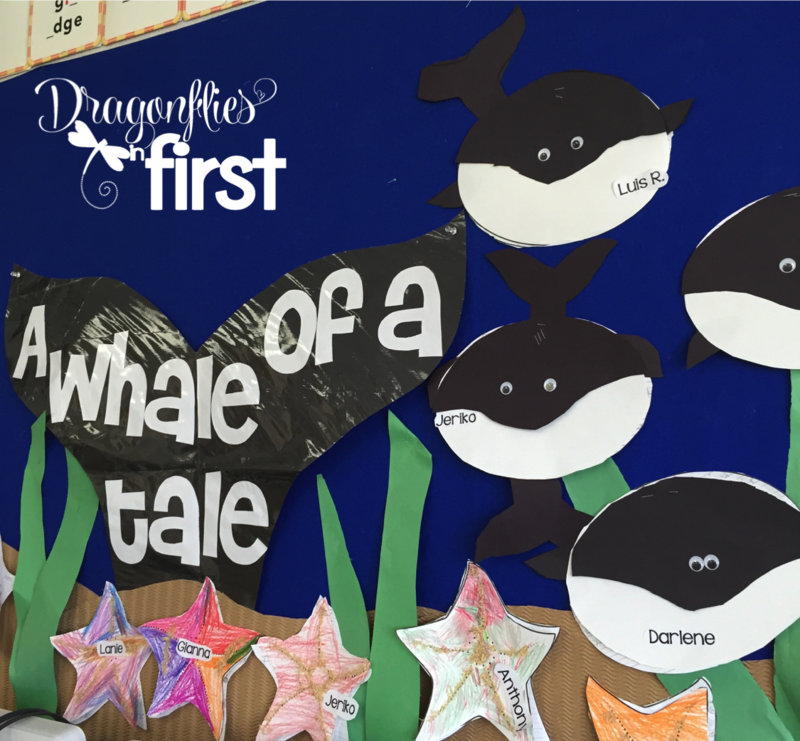 The stars hold sea facts and the whales are disguising narrative stories about magically shrinking whales! Again, their writing came from detailed plans that were developed during our weekly writing lessons. You can see more on these whale stories HERE. The sea stars are fun. I let the kids color them as they wish. They use glue to outline where they want textural detail. Then they drop crush shredded wheat over the glue. Quick and easy. Some of them really turn out absolutely gorgeous. 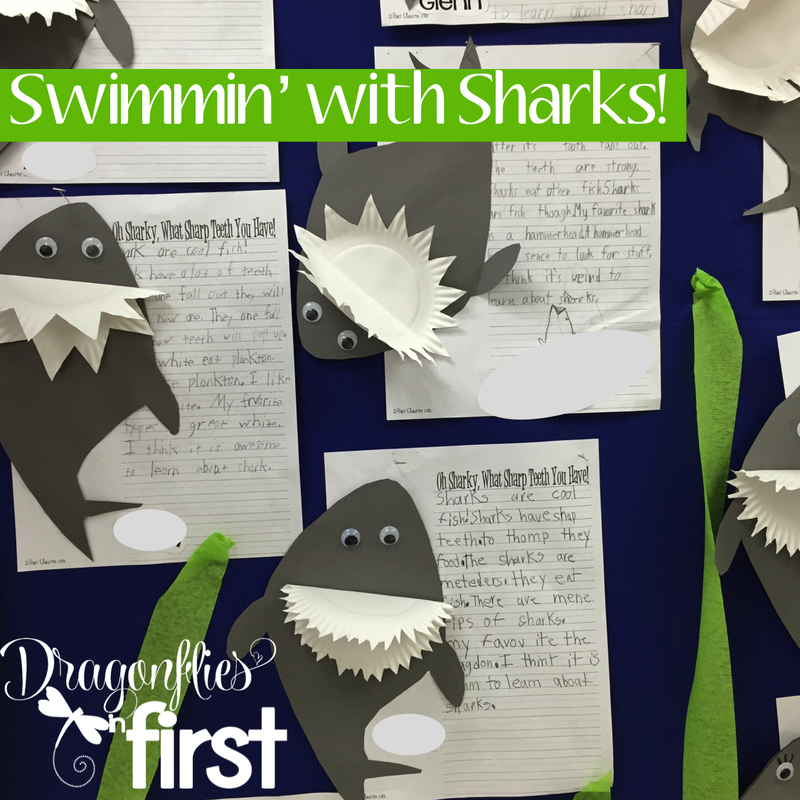 One of the writing lessons I have added to the Writing Through the Sea Resource was a narrative assignment called “Adventures with the Merkids”. 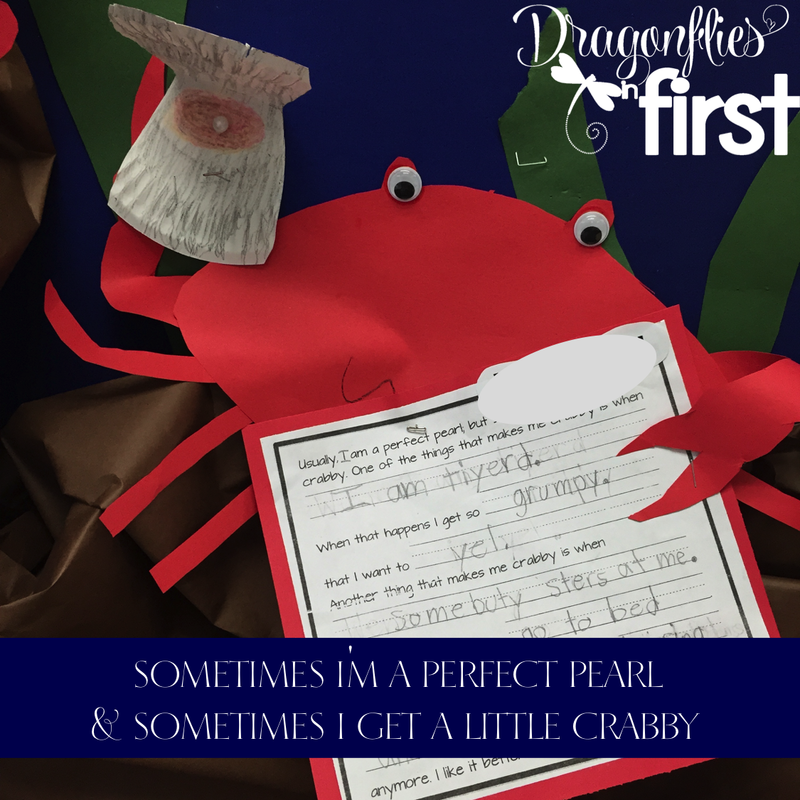 My kids had a blast writing this one! Our narrative lessons always start with some sort of simple drawing boxes. We then create and edit sentences to match our drawn vision for our story. The Adventures with the Merkids writing plan includes a word bank to help spur on some of the imaginative elements and encourage a little more detail. I cannot express enough the importance of consistent and routine writing lessons. I believe it is imperative begin with a plan and use the same type of plan often enough that they are able to “visualize” their writing plan when they aren’t given time to actually use/create one – as is often the case with assessments. If you are interesting in these writing lessons, you can find them in Writing Through the Sea. If you already own Writing Through the Sea, don’t forget to redownload it! It has more than doubled in size! Great display Traci! Love the shark writing. We just finished our Jack and the Beanstalk writing (from you) and the kids did really well with it!